I LOVE Sarah J. Maas' writing and OMG I NEEDED this book because ACOTAR was AMAZING and I just love Feyre and Rhys and everybody. So yeah. There was flailing when this finally arrived in my home. And I have to say that this was even better than the first one. I loved that we explored more of the world Sarah J. Maas created and we get to know some characters better and meet some fun new ones and get so much more backstory! I LOVED it! And YOU GUYS! SO MANY SWOONS! I really don't want to give anything away but there's just SO MUCH YES! I ship it so hard, I cannot even. Seriously. Do you ever have that feeling that the book you're reading was written just for you? Cause that's how I felt reading ACOMAF. I'm not sure how I'm going to survive that ending though OMG the wait will quite possibly kill me. Mind was blown several times and then some. If you're not already in on this action, you're going to want to hurry up and get on that. I'm not really a fan of fae novels, but this is everything. Go and read it. 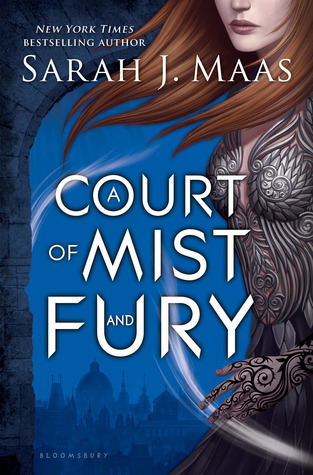 Yay :) And I kinda want to reread ACOTAR with the extra information we got in this one! I can't wait to read this book - I'm purposely saving it for my long weekend off when I can give it my full attention. Glad to hear you enjoyed it :) Thanks for sharing. Sounds like a perfect plan :) I read it mostly during the week and ended up staying up too late because I needed to know what happened next! That might have been exactly what happened. *cough* There was also some hugging of the book and squealing and such. I love her writing too. I can't wait to get to this series. I've read The Throne of Glass series and I just LOVED it. :) I love her Throne of Glass series as well :) Hope you enjoy this series as well! I feel the exact same way!! The romance that developed... It's just so perfect!! I can't wait to read the next book!